After a person has passed, the last will and testament is read. It's usually a list of people who will receive the person's assets. The assets can include a variety of items from property to cash to jewellery. One person has to be appointed to distribute these items to their proper heirs, but only after debts of the deceased are paid. All of this is done by an executor appointed by the deceased. A grant of probate authorises an executor to manage a deceased person's estate. The person to execute the will is often named in the will itself. The grant is authorised by the Supreme Court after the potential executor files the proper paperwork with the court. Before applying for a grant of probate, an executor will need to understand how it works and when it is needed. Applying for probate and the accompanying paperwork can be a bit complicated. The executor will need to advertise as well as complete numerous documents to be submitted to the court. 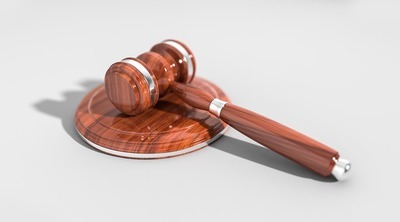 If it's an extremely complicated process for the executor, a public trustee can be hired to help with the paperwork and applying for grant of probate. A grant of probate allows the executor to perform tasks for the good of the estate. This is a huge responsibility for the executor, which takes time and resources to complete. 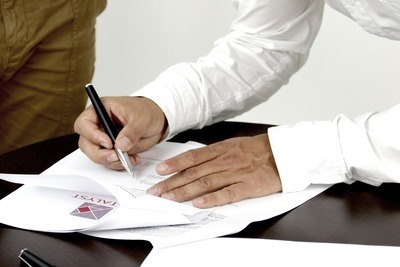 The grant of probate will ensure that the executor is the right person for the task. The person who was named in the will can apply for a grant of probate. There are times when there's no person named in the will and someone will have to apply. In some scenarios, the named executor isn't the only one to apply for a grant. A probate lawyer can apply for a grant, or she can be the one consulted when someone else desires to be named executor. Duties of Executor: How Do You Probate a Will? Once an executor has applied for a grant and been given the power of probate through the Supreme Court, there are certain tasks that need to be performed. It's a complicated process that requires someone able to handle all the details. Collect Assets: The executor has to gather all the deceased's assets. This involves gaining access to safety deposit boxes, bank cards, homes and car titles. All these items have to be stored in a safe place since the executor is now responsible for the assets. They have to be calculated and logged to ensure everything has been accounted for before they can be distributed. Notify Creditors and Other Agencies: The executor has to calculate the total amount of debts owed by the deceased. Creditors have to be notified in writing that the person has died to get a final bill for any services rendered. The executor can pay or challenge any of the bills received. The payments will come from the estate. Creditors, insurance companies and other agencies have to be alerted to the person's death too. Final Tax Return: There has to be a final tax return. This is owed on the final amount of the estate's funds. The executor has to tally the total monetary value of the estate and file taxes on that money before it can be distributed. There are death tax laws that must be followed too. Distribution of Assets: Once the estate has satisfied its debts, each promised asset can be distributed to those mentioned in the will. After the gifts are distributed, the executor has to draft receipts for the person and add them to the paperwork of the estate. After each of the gifts has been distributed to the proper party, the probate of will is complete, and the executor's job is finished.